I wanted to show the availability of alegata in parishes that were in or nearby my ancestral parishes. So the table below shows how common (or rare) alegata are. They seem to range from about 1813 (before Napoleon’s final defeat, and the subsequent formation of Congress Poland / Russian-Empire Polish partition). The 1813 I saw was in Polaniec (and is not shown in the table below). The latest as we see in the table below is 1923. There may be more after that year but perhaps privacy rules prevent their being published until later. So we have about 110 year range to view alegata. The time machine aspect comes into play because the alegata are recorded in the year they are for. The actual request may have been in 1989 and the earliest year for which the alegata gets data is 1720. So the time machine spans 269 years while the alegata only cover 110 years. So we are gaining 100 years on the early side and 66 years on the later side. While this time span is not complete (i.e. not everybody’s data is shown, it is extraordinarily helpful to those whose ancestor does have an alegata in reference to. Hence, why I call it a time machine. We might see a request from the 1950’s for a record in late 1800’s in an alegata book dated 1901. In some cases (particularly the earlier years), we may find a record that was subsequently lost, but due to an alegata request, it was saved in duplicate and thus preserved for some lucky genealogist even though the original book may have been lost/stolen/burned. At present, I am compiling a spreadsheet from the alegata in the above table. I’ll probably publish an analysis of my findings. In some article after the findings, I may write an article on the stamps seen in an alegata and what their purpose was. But right now I wanted to answer again why is there an alegata. The groom (mostly) or the bride or perhaps both were born in another, remote parish. The bride or the groom (or both) were widowed. The wife is notified in a letter(s) that her husband has died in military service and is now a widow. The far flung future requests a church record from the past. The future provides a court document of a vital record change or asks for information on an individual(s). A remote parish or USC notifies an original parish of a death or a marriage (see #1). There may be other reasons too. But at any rate, if you see a marriage in your parish books and (you see the groom is from an outside parish or the bride was born elsewhere, then you should look to see if there exists an alegata. The alegata will provide additional data substantiating the marriage can take place. I once found an alegata about an ancestor when there was only alegata online (typically not indexed). It had info about a marriage that was yet to be published online. Further more, both the groom and bride were widowed and hence I was also provided with death data on the prior spouses. The marriage and the alegata taken together can provide you a means to track down your migrating ancestors and where they came from or where they moved to. Also, please note, that as of the present (4-June-2018), no Alegata have been indexed. So that data is a complete mystery. So who knows what treasures you might find, just by doing an exhaustive search through alegata. Next time, a sample of what alegata look like, so you know what you are seeing. It can be confusing due to the multitude of time eras involved (seeing multiple languages) or you may see many differing forms due to the various timeframes involved. We’ll break it down in a rather lengthy blog article with pictures and descriptions. Stanczyk loves genealogy (hence this blog). 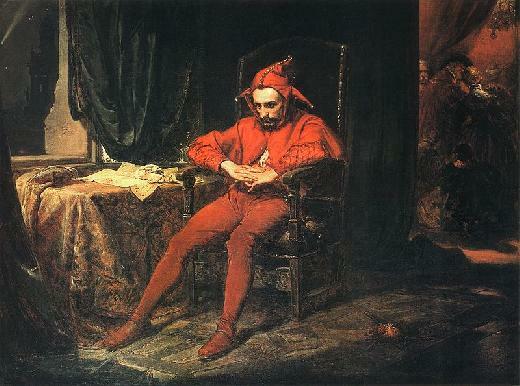 But this jester also loves creative artwork in ephemera or like postage stamps. What I love best is when I see these things in church books while doing genealogy research. I suppose this was the way to collect fees for church services or civil services. My first stamp is a recent find from the Kingdom of Italy, Calabria Province, Cosenza, village of Castroregio from 1870. I recently found 4 of my wife’s 3x great grandparents (only 28 more to go) in this village and its civil registration books. On the top of every facing pages (a two page set) on the right hand page at the top is this stamp. I only had a few years online in FamilySearch,org, so I do not know if the stamp changes over time. The man commemorated is King Victor Emmanuel II . These two 5 zloty stamps are from Poland, post World War II. They were found on a 1949 Birth Extract of an 1887 birth of Wiktoria Heliasz born in Biechow. The dual dates are because Russia was on Julian Calendar, while Poland was on Gregorian Calendar and these were twelve days apart in 1880. 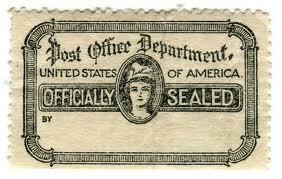 It is nice that these online records were in color so you could see exactly how the stamps looked. The above five stamps are from Austrian-Poland partition. They were on an 1880 Baptismal Certificate. I love the Austrian Empire’s elaborate detail (hard to see in these stamps). This next stamp is also from Austrian-Poland. It was on a 1904 Birth Extract with a stamp from 1898 – very nice color and detail shown. The above two stamps are from the year 1886. It was taken from an 1886 Alegata where the groom was from Krosno in Galicia (Austrian Empire) and the Bride was from Russian-Poland (Russian Empire). The testimony of baptism was used as proof that the couple could be married in the church. The 50 krone [left stamp] is the Austrian stamp and the 60 kopec [right stamp] was the Russian stamp. I guess each church collected a fee for this marriage to be documented. Latin & Cyrillic all mashed-up. Because Stanczyk’s ancestors were on one side of the Vistula/Wisla River (Russian-Poland side) and the in-laws were south of the Vistula/Wisla River (Austrian-Poland side) these kind of marriages were somewhat common. Just cross the bridge at Szczucin. I guess this kind of emigration was allowed by the two empires. The bride was most likely the immigrant (the groom had military duties to fulfill or taxes to pay or work to perform for some royal business). Do not forget to examine the stamps they have a story to tell too. Have you seen any interesting postage stamps in your research? Then drop me an email. Stanczyk wrote about metryki.genbaza.pl two months back and the fact they were posting online the state archives (civil) and church archives (diocese) and many people have asked me to write a guide (poradnik) on how to use Metryki.GenBaza.pl . In this guide, I will be using a Macbook laptop with the Safari browser, but you should see just about the same thing with your PC or your browser. Obviously, if you are using a mobile device you user experience will be slightly different may not work if your smartphone is too small. You will need to register for a free account in order to see of the available archives on metryki.genbaza.pl . The link to create a free account will take you back to GenPol.pl and you will need to fight your way through their poor user interface. Their interface (web app) did not indicate to me when it had created the account. But if you go back to metryki.genbaza.pl and click on the Login, you should be able to login to genbaza (using your email and your newly created password). If you are on a mobile device or a small/minimal browser window and do not see Login , then you should see a graphic button with three horizontal lines in upper right corner click on this followed by clicking on Login . For this guide, we will be working with AD_Kielce and AP_Kielce and the parish named Biechow. From the above screen shot you can see that we will be using the 1st and the 3rd archives. So if you are following along, then click on AD_Kielce (the church archive -or- Archiwum Diocesan). Notice it gives you the feedback that you are working with the AD Kielce “Album” contents. Think of this as an iPhoto photo album. Down the left side you will see a list of all available parishes that they have scanned images for. 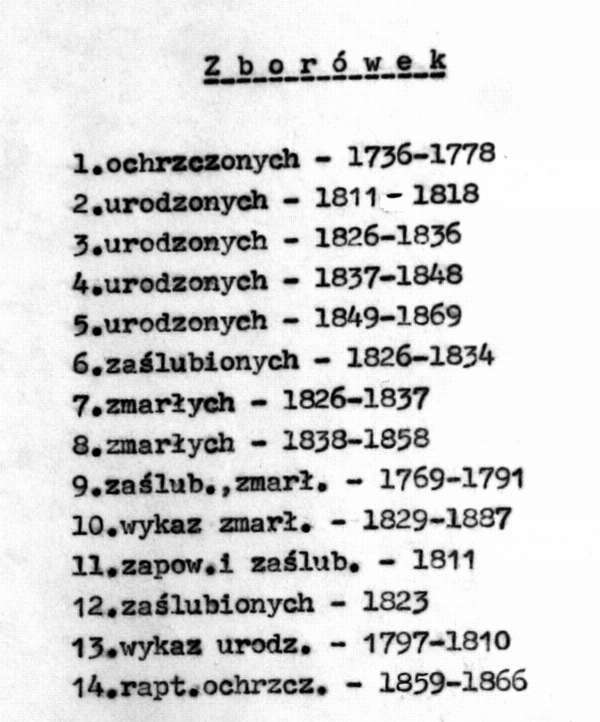 This is NOT a complete list of all parishes in the old province (wojewodztwo or Russian Gubernia) of Kielce, but just the ones they have some subset of images from the Kielce church archive. The blue words, Bebelno, Bejsce, Biechow … etc. are just parishes. You will need to know the parish of your ancestral village to select the appropriate parish, but that is another blog or two. Let me take one step back, I said parishes, but there are also Jewish congregations / records too in these online images. These parishes are just sub-directories of the AD Kielce Album. If there had been an image file also, it would be listed on the right side under the Album (or sub-directory) as a set of JPG (graphic file) files that viewable in a browser. You will notice that I have scrolled down a bit from the top. At the top it lets you know that you are in the Biechow Album (sub-directory). There are no files here either. But down the left we see more blue text (that are clickable). Ignore the leading number before the underscore. The middle part is a year or a year range. The last part, when it is present, is a set of letters. The latest birth I can get from the AD Kielce (church archive) is 1855. [see 22_1835-1855_ur]. So please excuse me while I switch over to AP_Kielce in order to work with Biechow births (ur) for 1886. These letters (or suffixes if you prefer) are fairly standard (with exceptions). If you see a suffix of, “_ur”, that is an indication that when you click on that sub-directory you will find online scanned images of Births (urodzony). So these suffixes are Polish abbreviations for Birth (ur), Marriage (sl), Death (zg) or Alegata (al). Each describes the type images you will see. What if there is no suffix? Then you will probably see all of the event types: Birth, Marriage, Death and possibly Alegata too. What is an Alegata (al)? These scanned images are requests to the church for a transcription from the church book or to lookup something like a birth or death possibly or most commonly to support a person’s need to re-marry by showing that s/he is widowed. These are transcriptions copied from the actual church register, by the current pastor of a past event (birth/marriage/death). These are usually accompanied by a fee, collected via stamps on the actual page. If these are present with the other event types, then they are at the end of the images. Alegata are almost as valuable as the actual church entry. But the alegata can substitute when you do not have the actual church register (or image) available to you. These are your breadcrumbs that allow you to find your way back. Keep in mind that “Main page” at the top will always bring you back to the original set of Archives to pick from. _k_????? ?.jpg — where the ?????? are replaced by some consecutive numbers. These files contain one scanned image each. Typically the set of images is a parish register, including the front and back covers, such as they may be. So in practice I seldom look at the first or the last image, because I am too busy to look at book covers. The images are number consecutively from front cover to last cover with all the pages in between as they are. There are a few possible arrangements of pages. Typically it is Births, then Marriage, then Deaths if the particular register you are looking at has two or more event types. I also see Marriage, then Birth, then Death. Death comes last always. In some parish registers you will also see Alegata and these come after Death if they exist. Many times Alegata are in their own directory apart from the other vital record events. Our goal is to avoid having to look at all pages one after another. To do that we must find the indexes that follow each vital record event. For example, after the Births, you usually find a page or two (or more) of an index of all of the births for that year — hopefully in alphabetical order. Sometimes the indexes do not exist. Sometimes the indexes have errors and sometimes a mistake is found and added at the end of the index. Always seek out the index and look at ALL index pages for your surname(s) to catch these errors. OK the text is in RUSSIAN/Cyrillic handwriting. Many of you cannot read this image. But some images are in Polish and a few are in Latin. So you can usually find somebody who reads these if you cannot read them yourself. But I do urge you to get the Jonathan Shea/Fred Hoffman book, “In Their Own Words” books and learn to read these church records. In the upper left you will see two tool pallets. The top tool is for adjusting (from top to bottom): Contrast, Brightness and Zoom. Mostly, you will not need to adjust Contrast or Brightness, but they are there for those who know how to use them to make the scanned images more readable. I do use the Zoom adjustments all of the time. The zoom tool (the bottom pick with a ‘magnifying glass’), you can zoom in (+) or zoom out (-). Depending on the scale of the image scanned and the health of your eyes, you will need to zoom in (+) 4 – 6 times to get a comfortable level of reading. Your eyes may differ. As you zoom in, you will notice that a gray box in the preview too pallet gets smaller. This gray transparent rectangle is the area of image displayed in the viewer window. You can drag this gray square to quickly navigate the viewer window to area of the page I have focused on. The other method of navigating the image is to click on the image viewer, click-and-hold-and drag the image around. So whether you drag the gray box in the preview or click-drag (common called grab) the view image around make it so you can see the Russian ‘L’ and possibly Russian M on the index screen. NOTE: You can scroll the viewer left-right and up-down, but I would not do that as you may not realize that you have NOT reached the image’s edge and that you need to click-drag some more to move the image to see the remainder of the image that scrolling cannot show you. Now you my dear reader of this tutorial must indulge me. I want to call your attention to the 4th ‘L’ name in the image (лещунъска виктория) — yeah, I know cursive Cyrillic does not look much like block letter Cyrillic characters, especially pre-1918 cursive Russian, which were before Bolshevik language reforms. It says, “Leszczynska Wiktorija” 118 (akt#) / 20 (Kart #). We use the Akt # as the record number in the parish register to find this record. This record is my grandmother! Click on the 23. Do you see where it says “First photo << 23 24 25 26 27 … >> Last photo”? Click on the 23, which will take us 4 images before the image we are on (the gray highlighted 27 in the middle). You should see an image with a 124 in the upper left. If you drag the image around in the viewer (or I find dragging the gray rectangle box in the preview tool) around the page you will see a total of 6 births on this page, number 124 through 129. The image looks like two pages of a parish register (book). The left page has records (akts) 124, 125, 126 and the right page has records 127, 128, 129. Do you see the Akt #118 at the upper left? We have found our record. These particular birth records list the baby’s name at the top. Do you see: Leszczynska Waleryja ? Wait a minute the index said, Wiktorija??? I said before the indexes contain errors. Waleryja Leszczynska is indeed my grandmother and I knew she was born in Biechow parish in 1886, but it was not until GenBaza put the AP_Kielce images online that I actually could prove her birth date / place. You can imagine my joy. Now imagine what your joy will be when you find your grandparents! Notice there is a button at the top, “Download photo” (Pobierz zdjęcie). The last thing you need to do is download this keepsake image you found. On a Mac when you do this the image is downloaded to your “Downloads” folder. It also brings up a Preview of the image when the download completes. Close out of of Preview. In your browser is a new tab, “Untitled” with nothing in the window. Close this tab and you will be back in the image viewer tab. In Windows you get a new browser window (named Untitled), your downloads window opens and the images goes into whatever Windows directory you download into (typically called Downloads). Likewise, close the Untitled browser window and return to your previous browser window. One note, on the mac the image download is TIFF by default and in Windows it is JPG. So on the Mac when your Preview comes up … click on File menu, then Export menu item and select either PNG or JPEG to get a file format that you can use on the Internet (like on Ancestry.com) for example. The Internet browsers natively work with: JPG/JPEG, GIF or PNG (or PDF too). Keep your images in one of those formats. There is one more thing I have yet to emphasize. I was trying to teach you that you can jump around the images by doing simple math. We were on Akt# 124 (of records 124 through 129) of six records per page. If my grandmother’s akt# had been 100 (instead of 118) then I would have had to click 4 pages left of page 23 or page 19 on the line, “First photo << 19 20 21 22 23 … >> Last photo”. This little math tip can save you the time of scrolling page after page. I use this tip to navigate more than 4 pages at a time too, but I will leave that exercise for the reader to figure out. Stanczyk has been writing for a while about Polish National Archives announcing via their National Digital Archive (NAC) that Poland would be putting 2.4 Million digital images of church / synagogue metric images from their regional archives online. So today’s blog post is a guide (poradnik) about how to use szukajwarchiwach.pl to view these images. It is easiest if you know the regional archive you are interested in, but you do not need to know it really. I will demonstrate with the RZESZOW regional archive. This archive was in Austrian-Poland partition, so its records should be for those locales to Rzeszow. Recall from my post, Polish State Archives – Numbers (13 March 2013) where I listed the archive numbers, that Rzeszow = 59. You should see the web site with the information for the Rzeszow regional Archive. Notice the two links: Poprzednie archiwum and Następne archiwum . With these two links you go through the list of regional archives. The list of archives only includes those archives for which they are presently loading images. If you hover over my two links above you will see ‘Previous Archive’ and ‘Next Archive’. There are 107 images [currently] and the data looks like it is in the Latin Box format. Since there is no index, you will have visit each image in turn and look at each row of boxes to see if that birth/baptism is for one of your ancestors. So that is a visual guide for how you navigate the szukajwarchiwach.pl website to get to the scanned images. Obviously, you will need to focus on the villages/parishes for your ancestor. That may be another Archive (besides Rzeszow) or if it is in the Rzeszow archive then you need to pay closer attention to the parishes in the Rzeszow collections and finally, you will need to select Birth/Marriage/Death (Urodziny/Małżeństwo/Zgony) for the year of interest to you. You will still need to be able to deal with Latin or Polish or Russian or German language in the records to understand what you see in the scanned images. You will also need to be able to read the handwriting. But you can do this! Stanczyk ‘s position has been overrun! I was trying to write a blog, but the course of events has been running at EXTREME Internet speed so much of this blog post may be “old news” to you — but in case its not, this is very exciting news! By mid-year (2013), they plan to digitize 2.3 Million historical (>100 years old) vital records. It appears the plan is to digitize about 1.37 Million records by March and the remainder (another 1 Milliion) by the end of June. These are actual church record images! I hope they plan on digitizing records from the Kielce Archive (please do PACANOW, BIECHOW, SWINIARY, BESZOWA, ZBOROWEK, KSIAZNICE and STOPNICA parishes). Can anyone detail the plans for JUNE yet? Unfortunately, the 1.37 Million records in March are NOT from the KIELCE archive or any parish where Stanczyk’s ancestors resided? Thanks in advance for any answers from our genealogists resident in Poland! I have been trying to do research in Pacanow but have not been very successful. My Grandmother — Maryanna Kuc(z) is from Oblekon. I wrote to the parish there — Parafia p.w. Najswietszej Maryi Panny Krolowej Swiata but never received a reply. Perhaps they just couldn’t find any information. & a brother Jozef (born 1893) both came to America. I think she had other siblings but have not been able to find any records from Poland at all i.e. Marriage of parents, birth or baptisms or death of her parents. I know her father was alive in 1912 when she came to America. If you can help or shed any light on how I could obtain the information I am seeking, I would be extremely grateful. Keep up the excellent work on your blog. Thank you for any information in can provide and Thank you for your blog, I learn a lot from it. 1836 Franciszek Kuć marries Maryanna Duponką [this is not your great-grandparents, but probably related]. 1836 was the only year that I had a marriage index picture. 1830-1840 no Kucz/ Kuć births in the indexes. 1843-1845 no Kucz/ Kuć births in the indexes. 1850 no Kucz/ Kuć births in the indexes. I think I have seen Kuc in the surrounding parishes (Biechow & Pacanow). That is all the LDS (aka Mormons) have in their Family History Library that you can rent microfilm from. Next I checked the Polish National Archives via PRADZIAD . They did have books/microfilm for the date range you are seeking. Here is the contact info for the archive that has the data you seek. You would need to write them in Polish and they will write you back with their findings and instructions for wiring their bank the money they require (all in Polish). This jester thanks my Slavic readers from: Poland, Russian Federation, Czech Republic, Ukraine, Latvia, Belarus, Slovakia, etc and of course their American emigres and American born of that heritage. This is after all predominantly a blog of genealogy that focuses on its Slavic Heritage and especially the heritage of Stanczyk‘s paternal grandparents who were born, married, had children and emigrated from Poland … Russian-Poland also known as Congress Kingdom of Poland and to a lesser degree, Vistulaland (a collection of ten gubernia in the czarist Russian Empire). Poland was occupied and partitioned between three Empires: Prussian (German), Austrian (Austro-Hungarian / Hapsburg), and Russian from 1792-1918. As such, in the Russian partition, they were subject to the Czar’s ukases (decrees). A UKASE (указ) is formally an “imposition” , usually by the czar, but possibly by an Orthodox Patriarch. But ukase is usually translated as decree or edict. My ancestors were from the Russian-Poland partition, but just across the Vistula (Wisla) river from the Austrian-Poland partition — which had, to me, a surprising number cross-Empire interaction in vital records. The Russian-Poland nominally a fiefdom of the Russian Czar, who was also titled as King of Poland, as well as Russian Emperor. Stanczyk is fascinated by the last one. It is said that it is in the Polish DNA to be multi-lingual. Certainly, my grandmother was capable of four languages (Polish, Russian, German, and finally English). But how did the Catholic priests do this? Switching from recording vital records in Polish to recording them into Russian? The year of the switch-over was 1868. The records start out in Polish but switch during the year to being in Russian ??? Admittedly, the Russian in most cases was a bit … uh “problematic”. Can you imagine that happening in America? Most of the world thinks of the USA as being linguistically challenged. This jester is fluent only in English. I did receive much French tutelage and can read French. With my genealogy, I have been self taught in Polish, Russian and Latin. Thankfully, Google provides the Google Translator, flawed as it is, for Polish. Still as it was, I was able to use it communicate with a distant cousin in Poland who could not speak any English and my ability to write Polish was so very limited. Yet we overcame and I was blessed with the gift of my grandparent’s marriage record from Biechow church and a civil record of their marriage from a local USC office. And it was a good thing my cousin sent me both. As the USC mistranslated the Russian language church record on my grandmother’s age. They had accidentally added five years to my grandmother’s age, which I would not have known if I did not have the original church record in Russian (which apparently the local USC could not read as well as I could). Stanczyk wanted to take a moment to say, “Thanks”. You may recall I did my due diligence on the Genealogy Website Rankings. I added my own blog website for reference. At the time of the survey I was a little over 12.8 Million-th most popular website on the Internet. Out of the billions of pages, I thought that was a great start. For kicks, I went to Alexa.com and inquired if my ranking had changed. I was pleasantly surprised to see that I was now the 10.3 Million-th most popular website. That is an improvement of 2.5 Million in about one month ! So I just wanted to say thanks. I am hoping to eventually crack the top 1 Milliion (with perhaps a dream of being in the top 100,000 some day). I asked for your support and I can definitely see that I received it. Thank You very much for lending me your eyes. I am also looking for people to help me in my volunteer efforts. If you can read Polish (or even Russian, I saw two projects for Ukraine-Kiev church records), then you can join with me on one of two projects: Lublin and/or Radom. I chose Radom as it was close to my grandparent’s ancestral villages (Biechow/Pacanow). Most projects are for English language records. Of those, many are in the USA, so you could pick your local area and get a local genealogy society or historical society to pitch in. It will provide more data for all of us to research. If you want to thank me, but only read English then perhaps you can pick from a project for: Philadelphia, Buffalo, Toledo, Detroit (or Michigan in general). This is another way you can lend me your eyes and feel good about doing some volunteer work (Random Act of Genealogical Kindness, anyone?). Two Polish projects open at present. As I said, I chipped in some effort to read one batch (of 12 birth church records). The records I was given in my first batch were from 1866 in the Radom diocese. This data (index and images) will be free to search from their website: FamilySearch.org (Europe Record Groups) . Good Luck & Thanks again! The format of the blog/website is due to wordpress (my blogging software and website provider). Their programs/widgets dictate the “style” which I have very little control over. I will try and write using a bigger “format” (ex. Heading 4 instead of paragraph). I cannot write in all bold as that will actually make things harder to read for more people. But I suspect the problem is really your browser. Fortunately, most browsers now allow a “zoom” feature. I can give you help with either Internet Explorer or Firefox(Mozilla) browsers. In Internet Explorer (popular in Windows computers), you would hit ‘Alt-X’. That is press and hold the ‘Alt’ key next to spacebar, and while still holding down the ‘Alt’ key press ‘x’. Hence Alt-x. This will bring up a “contextual” menu near the top of your browser window. “Zoom” is the third choice. It will bring up a list of zoom-levels. I recommend 125% or 150% for you. That should improve the readability for you. In Firefox, you press “Ctrl-Shift-+” to zoom in and “Ctrl–” That is Control-plus to zoom in and Control-minus to zoom out. As with the “Alt” key, the “Ctrl” key must be pressed and held down while you type the other key(s). Let me know if you use another browser. I do have Safari for Windows (sadly Stanczyk is making do with a Windows computer instead of his beloved MAC). If the “zoom” feature improves your ability to read my blog, then I will not make any changes. You may also want to have someone to adjust the contrast/color on your monitor for you too. I know I had to really tinker with these Windows computers to get the colors to give me the proper contrast. This was something I took for granted in the MAC world. Stanczyk too has “very aged” eyes from years of working on computers. Thanks MaryAnne! Jonathan asked about Pacanów and Kłoda, his Pytko family, and how hard it is to read “Old Russian”. Jonathan, thanks for writing. As for emails – you can send me A church record and I will be happy to read it for you and send you a translation of the “Old Russian” (pre-1918 reforms). You can write to me at: Stanczyk@eliasz.com . OK? Any pictures you send me via email may or may not be used in the blog as part of the answer [fair use]. Akta urodzeń, małżeństw, zgonów = Birth, Marriage, Death records. I have seen Pytko/Pytka in Pacanów and Świniary parishes. I am continuing my efforts to retrieve/extract the Jewish records from the Catholic parish of Biechow during the years when the Catholic Church was ordered to act the civil registration authority. My last posting was for the years 1810-1815 inclusive. These are the Jewish Births from 1816 in Biechow parish. For the record, there is not any record of 1817 on the microfilm. Ergo, this posting brings us upto: 1810-1817 inclusive. The prior post is here . That is it for 1816 only 3 out of 93 total = 3.22% of the births in the “parish”. JRI you are welcome to use this data and/or incorporate this into your databases. Well I wanted to publish some more Swiniary parish indexes to celebrate my line of Kordos and Leszczynski who lived in the parish. So far I have seen the following villages to comprise the Swiniary Parish (parafii): Swiniary, Parchocin, Oblekon, Zielonki, Tur, Trzebica, Ludwiniow, and Wlosnowica. As always, keep in mind that I have done some surveys for Biechow and Pacanow too and those are available via the menus near the top of this page. 48 Piotr I Ignacy Gluszczykowna ? 50 Piotr I Ignacy Grzeda ? Ecclesiastical Archive for: Biechow, Ksiaznice, Zborowek … and Pacanow? Stanczyk said a week ago he would show a series fonds in the Catholic Church Archive in Kielce, Poland. These fonds are microfilmed church books of the various parishes in the Kielce Diocese. Sadly, the church does not publish a library catalog of its holdings. Let’s review these images which I collected a long time ago and do not seem to be available any more upon the Internet. I also hope to beseech my readers (in Poland — I know there are a few of you tanks to my Flag Counter), to help me acquire at least Pacanow and I also hope for Swiniary too. Please email Stanczyk if you can help me locate Kielce Diocessan Holdings for: Pacanow and Swiniary parishes (parafii). I can accept a text file of the details or even an image (JPG, GIF, TIF, BMP, PNG) or even a PDF document. These birth/baptismal , marriage/marriage banns, and death church records have been microfilmed by the LDS (aka Mormons). 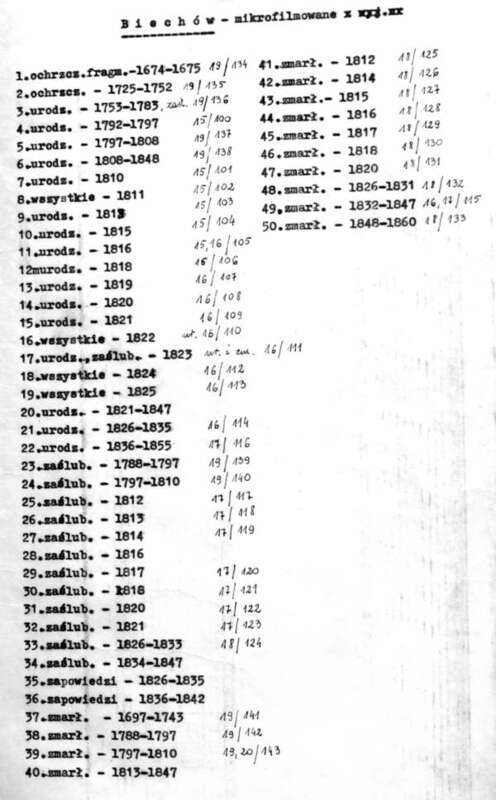 The LDS also have three microfilm covering the years 1875-1884 which are church records written in Russian that do not appear in this image of their holdings. Now to be fair the image is a few years old and perhaps the Diocessan Archives has been updated since this was taken. A careful comparison seems to indicate that the LDS microfilm are missing some things that Diocese has and that the Diocese may be missing some things that the LDS have. If this is true then it would appear this is not the source of the LDS microfilm. You can find the LDS microfilm for my Biechow parish here and also here too . If anyone knows if the Diocessan Church Archives in Kielce has microfilm for Biechow from the years 1861-1910, please email me (see above for my email link), so I can do complete research plans. I also hope someone out there in the Internet can answer why there is not alegata listed in the Kielce Diocessan Church Archives. Poland’s State Archives (PRADZIAD) has alegata mcirofilm. Why would the Kielce Diocessan Church Archive be lacking in this manner? I hope this present somewhere in their holdings. I have had excellent success with alegata records giving me missing data. Finally, my last question is, does the Church Archive also have physical books or only microfilm? If the books exist, can you take photographs of the books themselves? Now lets look at Ksiaznice. Most people are not aware that Ksiaznice was ever a parish or possibly they were not aware that microfilm existed for Ksiaznice separate from other parishes. I think people just think that Ksiaznice’s church records were added to either Zborowek or Pacanow. The LDS does not have any microfilm of my Ksiaznice which is from the area around Pacanow. Now I did notice some scant records in the Pacanow(Zborowek?) microfilm for Ksiaznice. But look at all that Diocese’s Archive has in Kielce ! I will have to spend a lot of time here to figure out if any of my missing records are here or not. But the holdings looks very complete indeed — very few gaps ! There is no LDS microfilm for my Ksiaznice, so I have no link to post for you. Clearly, LDS does not get their microfilm from the Diocessan Church Archive. I guess its microfilm comes directly from the parish books. Again this is probably why people never think of Ksiaznice as a parish separate and apart from Zborowek. Yet look at all of the data they have. “Historical Description of Churches, Cities, Monuments, & Memorials of Stopnica“, written by Jan Wisniewska in 1929. This book describes all of these parishes in today’s posting too, plus more. That is how I knew about Ksiaznice. And now lets review the third parish that I have, Zborowek. The LDS does have microfilm for Zborowek. To be precise, they have one microfilm covering the years 1878-1884 for birth, marriage and death church records. The Zborowek LDS microfilm can be found here. But look at the holdings in the Diocessan Archives ! Their records span the years 1736-1887 ! That is again a lot more than you can get from your local Family History Center which has only 6 years I spoke of above. Again, Stanczyk has his work cut out for him to review the records in Zborowek. I can only dream about the possibilities. So now gentle reader you know why I am seeking the holdings for Pacanow and Swiniary in the Kielce Diocessan Archives. The potential to close the holes in my family tree and answer all questions back to just before the three partitions of Poland for my Elijasz, Leszczynski, Wlecialowski, and Kedzierski lines is almost more than I can bare. You see I am hoping to plan the search beforehand, so I am prepared for a rather lengthy visit to the Church Archives. Was the column labeled ‘Numerus Domus‘ in the Latin Box format of church records required by the Codex Napoleon? When did house numbers get assigned? How were numbers assigned? Did they number starting from the church (I have had that said to me.)? Did they give the lowest numbers to the “most important” members of the parish? Were houses assigned numbers in the order they were built without regard to their sequential location to another house or did they start at 1 and proceed down the street numbering each house, such that consecutive house numbers are next door neighbors? Were house numbers unique to a single village or to the parish they all belonged? Why did they stop collecting house numbers in the church records? Did house numbers get renumbered (if so then when)? I am thinking like, in Detroit around 1920 when many/most homes were renumbered. If the houses were not renumbered, then is it possible to visit the same house (assuming it still stands) and know it was that house where so-and-so lived? #2 … I have seen house numbers on records as old as late-1600s [Stanczyk: so this way pre-dates Napoleon and as such also answers #1; In Biechow, prior to Latin Box format, circa 1797 no record of a house # exists]. #4 House numbers are unique to the individual village. #7 In villages where the houses were numbered as they were built, it is almost impossible to locate a particular house unless it is a very small village. If any or all of the village burned down at any time, the process becomes even more impossible (if that can be). [Stanczyk: Debbie went on to crush my hopes of locating a family homestead by various reasons on why the house #’s may be different or non-existent]. Thank You Debbie G. for sharing your expertise! I have verified that Biechow does not have house #’s in the church records prior to 1797 — probably as a result of Austrian partition regulations. In MF# 936660, I found when Fr. Dominicus Cyranski arrives he starts using what I believe are house #’s (i.e. Sub. No 27). These 1797 Church records are in Latin Paragraph format. The house numbers also appear in MF # 936665 (the Latin Box format) beginning in 1797. Again let me remind the readers that Biechow (and Pacanow, Swiniary, etc.) are rural so they will do things differently than larger towns or cities. Oddly, I went through MF # 936662 and for the years 1836-1848 there were no house numbers. But in 1849, the records (which were in Polish paragraph / Napoleonic form), the house numbers make a come back. So I have house numbers in 1849-1852 inclusive. In 1853, they stop again. Now there was an explanation, it appears to be by priest sentiment. In 1848, Father (Fr.) Jozef Stanky [the priest who writes likes a chicken] takes over. In 1849 he adds house numbers back. In 1852 Fr. Michal Krolikowski shares duties with Fr. Stanky. In 1853 Fr. Michal Krolikowski [priest with the angel like handwriting] decides to stop recording house numbers. So it appears to be specific to the whims of the parish priest. Also when I was posting about Old Tomasz Leszczynski‘s first wife Julianna Kordos‘ brith record, I put an image of her Latin Box church record from 1833 (Swiniary parish) and I noticed it had house #’s (hers was house #40). So the variation can be by priest within a parish or variable by different/adjoining parishes. I think that explains why Debbie G. see one thing and I see another. I am guessing that it differs by partition too (Austrian vs. Russian vs. Prussian). I think it is the differences and freak happenstances that make genealogical research so interesting (and/or frustrating). I do accept the fact that house numbers exist in a village, irrespective of whether they exist in the church records for that village. Stanczyk is NOT thick skulled! 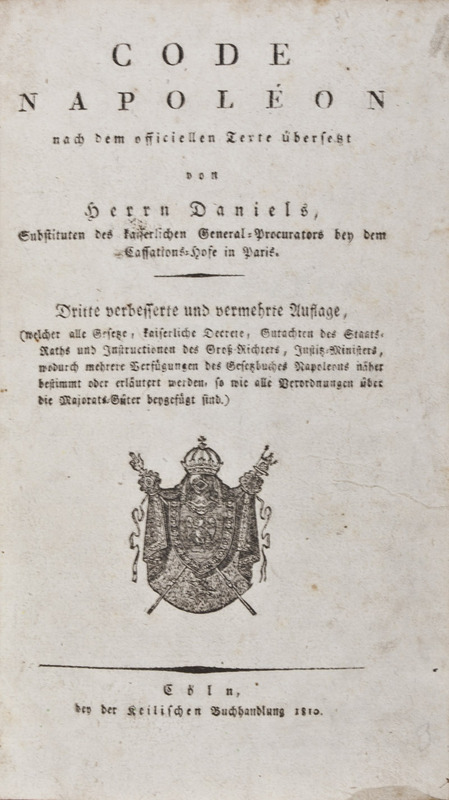 I have noticed that the Catholic Church (let me be precise/narrow, but perhaps it has wider usage) in the Russian-Poland areas, during the years 1797-1825 recorded house numbers (aka Numerus Domus -or- Domu iego pod numerem) in their records. So I am trying to tease some further knowledge from my data by analyzing these house numbers, but I have questions that need research. So here is my laundry list of questions that I will investigate and perhaps by crowd-sourcing / internet collaborating I hope that I can also receive some answers via comments or emails. Gaspar(Kasper), Melchior, and Balthazar (were the wise men’s names by tradition — their names do not appear in the Bible). Does anyone know this Christmas tradition or why Poles did such a thing ? Does anyone know any other door or address traditions from Poland ?